In Canada alone, obesity rates have tripled in less than 30 years, according to a study from Memorial University in St. John’s, New Brunswick. That means approximately 1 in 4 Canadians is clinically overweight. These illnesses are not like those of the past, such the Black Death or measles. These types of diseases and illnesses are part of our lifestyle and probably a consequence of our own choices and are all somewhat avoidable. The fact is: today we are in the midst of a lifestyle crisis. The question is, what do we do? How did we let it become this way? And what solutions does Islam provide, if any? Is this an Islamic Issue? In 2013, The Global Burden of Disease Study, published in The Lancet, found the highest rises in global obesity levels in Egypt, Saudi Arabia, Oman, Kuwait, and Bahrain. Not to mention the genetic predispositions our predecessors have passed down to us. Is it any mystery why so many of our relatives and the larger Muslim community are taking statins for high cholesterol, metformin for diabetes and aspirin as a ‘preventative’? The reality is that most people do not learn from the mistakes of others, they do not make changes until life forces them to change. Even then, most become reliant on pills or surgery, all without taking into consideration the necessary lifestyle and nutritional changes required. We all have it within us to summon the help of Allah, Al-Shafi to heal ourselves with consideration given to our lifestyle. What is the Prophetic Guidance? This hadith goes beyond managing anger. It means coming up with systems and processes to automate as much as possible in your life and make things easy for you and for those around you. Reading the labels: Start eating foods that have minimal ‘ingredients’. Opt-out of anything in a box. These foods often contain MSG, colors, additives and sulphites. Playing: One must engage in play. Play is physical and social. When you play you laugh. Having a purpose: Live a life of purpose, and staying connected to your purpose. This means having a vision of your life, having a passion. 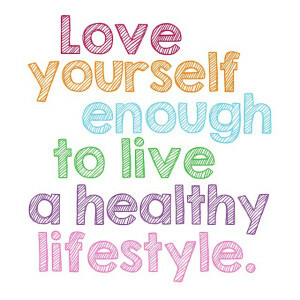 This will motivate you and help bring change to your lifestyle. Growing: Focus on individual growth. This means learning every day. Educate yourself, read articles, watch documentaries and surround yourself with like-minded people. Connecting: Become a person who is connected to the Quran. What are you going to say to Allah on the Day of Judgement? Understand your health, amaanah, ibaadah, and duty to Allah (swt). Understand that change does not come easy but with the help of Allah (swt) anything and everything is possible. Start with small changes and you will inspire yourself in ways you could not have imagined. Hira Khan is a CAPPA and DONA trained Labour and Birth Doula, and a Certified Cupping Therapist. She is the Creator and Founder of Alif2Yaa Health Services, a service aimed at providing Doula Services, Prenatal Education, and Hijamah Services to the greater Muslim community. 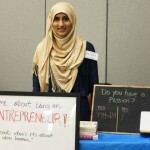 You can follow Hira on her Mommy blog (alif2yaa.blogspot.com) or Hijamah website (www.hijamahworks.com). Cooking with Thas: Classic Fall Recipes!